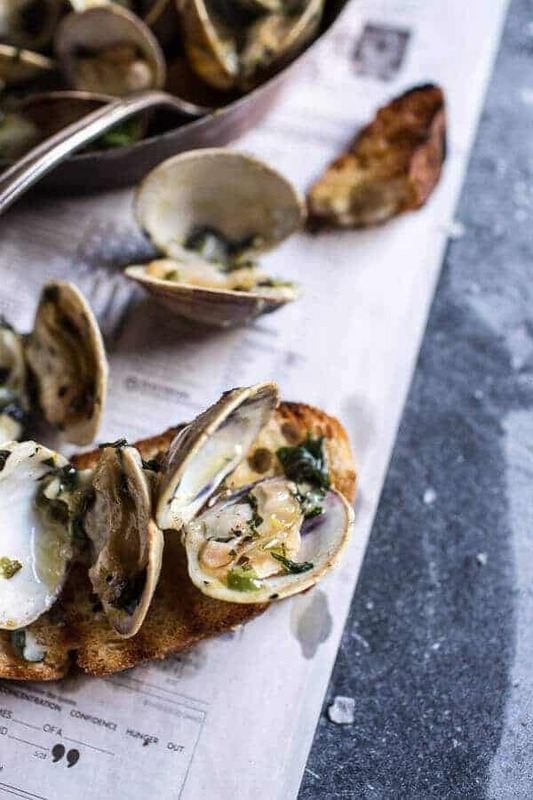 Grilled Clams with Charred Jalapeño Basil Butter. That BUTTAH…it’s just too good not share. This is one of those recipes that’s barely a recipe. I mean, basically the recipe is for the butter. It’s literally clams and butter. Simple as that, but the clams?? They could not be better. 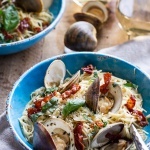 Personally, I think the only way I can handle clams is one, if they are covered in cheese – like on a seafood pizza, two, served with pasta in a creamy and or buttery sauce, or three, just completely covered in butter. I know, sounds so healthy right?? Right. No but, see, I really only made clams for the first time last year and I really enjoyed them…in pasta, but I kind of needed something to drown out their fishiness, or maybe claminess is the right word. Does that make sense?? I grew up with a fish and seafood hating mom, so I always thought that fish and seafood were BAD. It wasn’t until I started cooking myself that I realized that fish is actually GOOD! But, I still have a little bit of a hard time with the fishy, fishy, fish and the slimier of the seafoods. I feel like some of you may understand this?? No? The point here is, I need butter, and a lot of it, with my clams. Also, I would prefer to pair it with some delicious sweet corn for chomping on, and some nice crusty bread for dipping! Yeah, sounds like the perfect cookout meal to me. Ok and speaking of cookouts, Father’s Day is coming up. Ahhh, gift suggestions for a guy who doesn’t like gifts…or really even Father’s Day? I know, what?! I have a hard one to shop for, I mean you guys, he’s not even into golf. What dad isn’t in golf?? Well, he used to play, a long long time ago, but seven kids kind of put the kibosh on that one. Back in Ohio he used to play handball everyday after work, but living in the mountains, there are not many people who play, so that means I can’t even get him those special gloves, shoes or bouncy blue balls. He’s really just a simple guy. Basically he gets excited about planting me a garden, going to the gym to lift and fixing things. Yeahhh. Dads are odd, am I right?? Each one is different, but it seems like every story I hear about dads and their daughters are quirky ones. The good news for me is that I shared some of these clams with him and he did say they where incredible. So maybe I’ll just remake them and call it a day? Yeah, these clams and these pops OR these bars (cause he loves them both so much). I do always say that food is the very best gift you can give. Money buys a lot, but if you have a happy stomach, you are golden. 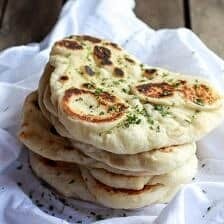 This recipe requires only eight ingredients (including the salt) and takes maybe 10 minutes to prep. 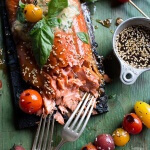 You only need to use the grill – no inside cooking, yes!! 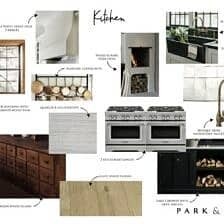 This also means that dirty dishes are minimal, like so minimal… double yes! 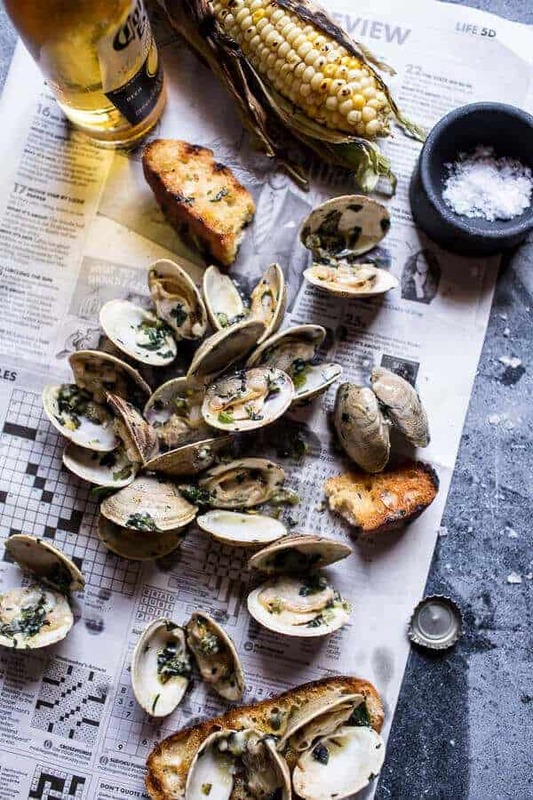 If you do not have a grill, the clams can just as easily be cooked in a skillet or steamed, and the jalapeños for the butter can be charred under the broiler. 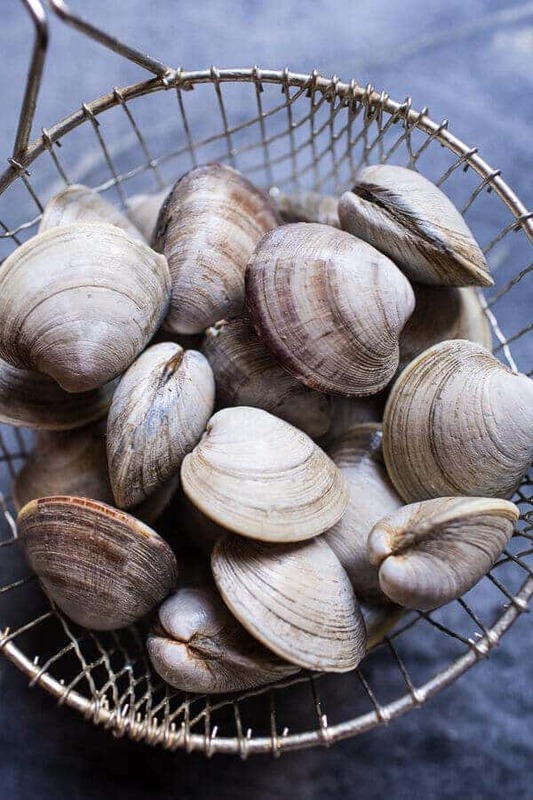 Oh, and before I go, I just have to say that the butter can not only be used for these clams, but can also be used for so many other dishes as well. 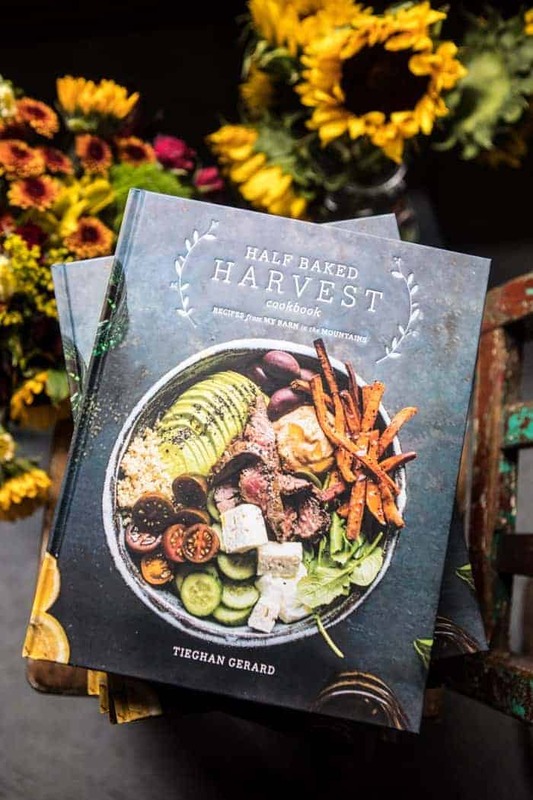 Think corn, steak, any seafood, bread, veggies, almost anything, it’s SO GOOD! This is one of those recipes that's barely a recipe. I mean, basically the recipe is for the butter. It's literally clams and butter. Simple as that, but the clams?? They could not be better. To make the Jalepeno Basil Butter, preheat the grill or grill pan to high heat. Once the grill is hot, add the jalapeños and charr all over, about 2 minutes per side. Once charred, remove from the heat and place in a bowl to cool, cover with a dish towel. Once cool enough to handle slice the jalapeños in half, remove your desired amount of seeds and then finely dice. To a bowl mix together the softened butter, jalapeños, honey, basil, zest of 1 lemon and a pinch of salt. Mix until combined and then fold in the blue cheese (if using). The butter can be store in the fridge for up to 2 weeks. Before serve, leave the butter on the counter to soften or lightly melt over the stove. To make the clams, preheat the grill to high. Once hot, add the clams in a single layer, cover and cook until the clams open, about 5-10 minutes. Discard any clams that do not open. Toss the hot clams with the jalapeño butter and serve with more butter, toasted bread and corn. Enjoy warm! *If you are making 4 pounds of clams, you might want to think about doubling the butter. You do not need to, but if you, or whoever you are serving, likes a lot of butter with their clams than doubling the butter recipe might be wise. 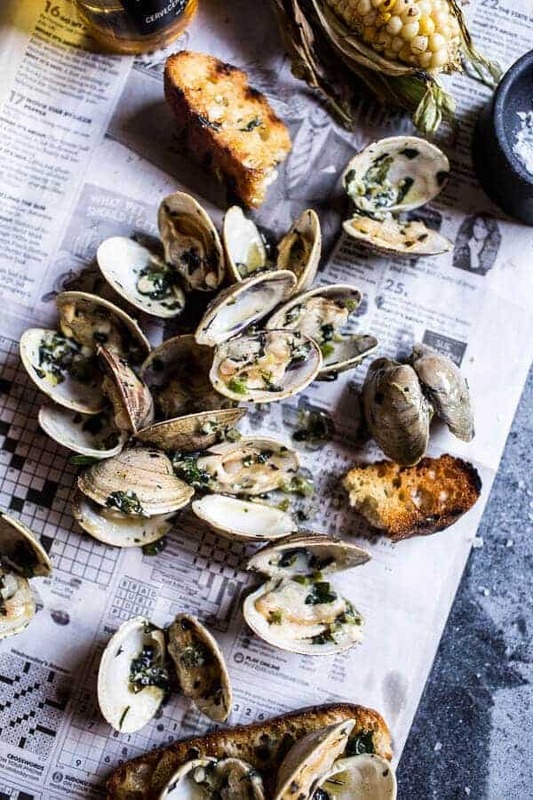 **If you do not have a grill, the clams can just as easily be cooked in a skillet or steamed. The jalapeños for the butter can be charred under the broiler. So tonight? This weekend?? Backyard BBQ? 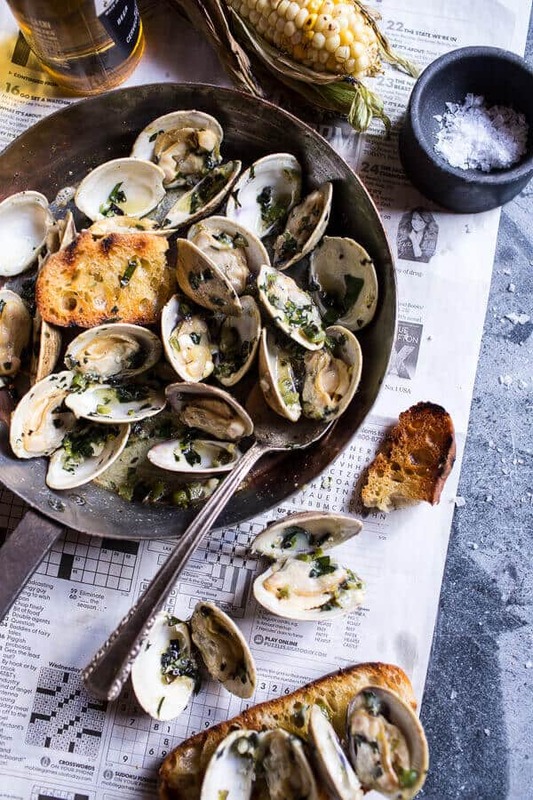 Grilled Clams with Charred Jalapeño Basil Butter – do it. Contrary to you, I like my fish fishy and my clams clammy!! 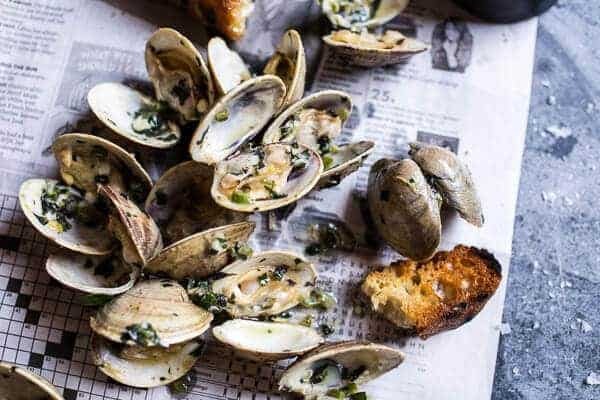 I love clams, actually, and my prefered way of cooking them involves lots of good portuguese white wine, good portuguese olive oil and loads of garlic… but this seems good too!! Yum! I want to try this so bad I’m crazy for clams! But jalapeños are almost impossible to find here..
On father’s day i always give my dad a chocolate mousse, every year the same… so I can relate. You cook him a favorite meal and you write him a letter why he’s the best Dad ever. I’ve never tried making clams before because I’ve always been a little intimidated by said clamminess and the fact that most of my family would never try them, but now you’ve totally got me psyched up to just do it! 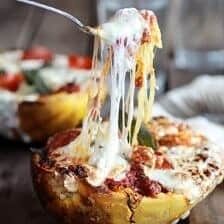 This recipe may be simple but it looks awesome! 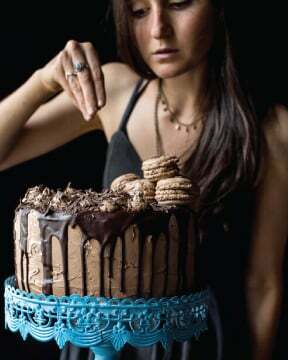 Ok Tieghan, now this is one I will definitely be serving at the beach house kitchen! 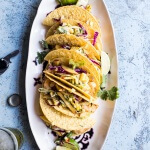 Love that jalapeno butter! I need lots of butte on my clams too and my husband Tom loves clams. 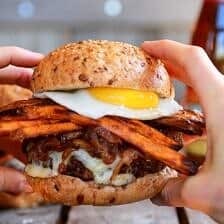 Since he just got his cholesterol checked and doesn’t have to be on his best behavior eating-wise for a bit it’s a free-for-all and he’s going to love these for Father’s Day! I think your dad will love the pops AND the bars, but with 7 kids and all he may deserve the cake of all cakes….the Brooklyn Blackout cake! Such a cute idea! Guys are SO hard to buy for so I think cooking him a great meal is a great alternative! I mean who doesn’t love food?! I’m not a seafood fan, but that butter – I will be making that butter! I’m new to your blog, and I’m SO impressed with your beautiful photographs & compositions! Always a joy to see! Excellent! I was not expecting blue cheese to be in this recipe. But now I think about it, I can get down with a bit of blue cheese and clams. Love, love, love these photos! 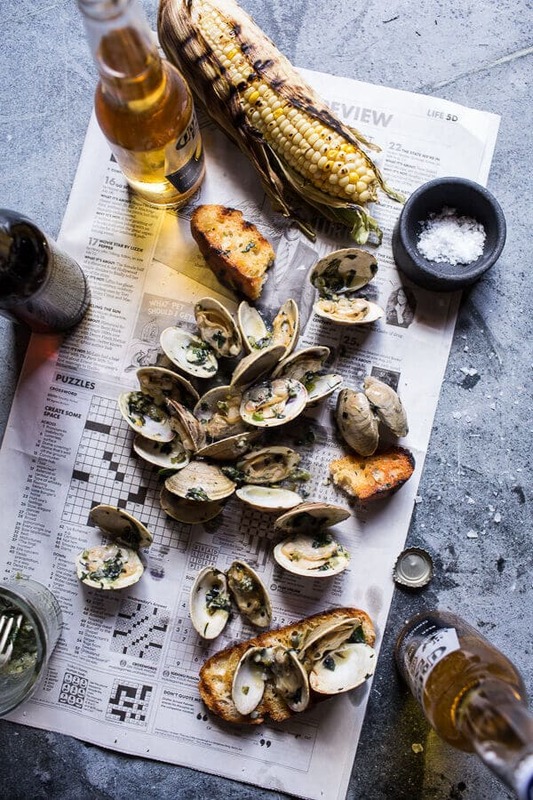 The way you styled the clams with the newspaper and beer bottle is so freaking cute! These clams look epic! I am all over anything that allows me to consume jalapeño basil butter :). I live in small town in Maine where we actually have an annual three day Clam Festival! At low tide, there are often clammers out digging in the flats, which is pretty much my backyard. What I’m saying is – I know clams. And these look fantastic! I’ve grilled them before (so easy), but next time I will be adding this butter, and lots of it. Thanks! Bocce ball is a family fun yard game and a great gift idea. Your photos are always amazing and unique. I wish you had more confidence in your talents. I’m SO glad that you decided to share these clams with us! I’m drooling over here. I love that you used the newspaper as part of the background, too. Thanks so much, Lauren!! 🙂 Have a great weekend! Made this last night and it was really amazing! We added some sweet onion to butter sauce. Would highly recommend to anyone that loves seafood! Thank you for sharing! I don’t know if I can buy fresh jalapeño in my city, can I replace that with the canned pickle one? Hi! Yes, pickled will be great! Interesting post!! and enticing photos. I;ve never tasted mussels. Grandpa J. trapped them, brought them home, boiled them and ate them all by himself. Grandma wouldn’t get near a mussel and we followed her lead. Bad choice. These look good. 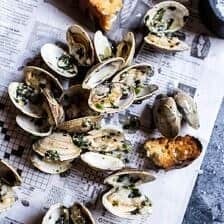 Ive never tried clams on the grill but after reading this im going to give it a try. 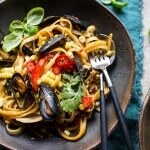 I prefer to cook over charcoal – do these clams need to be directly over the heat or am I better off cooking using indirect heat with the lid on? Hello there i am on diet now a days will you please tell me should i eat it or not? because it is very delicious. Hi Mickey! I believe everything in moderation! I think you should enjoy what you like but also balance it with vegetables or foods filled with vitamins. I hope you do try these clams! Thank you!